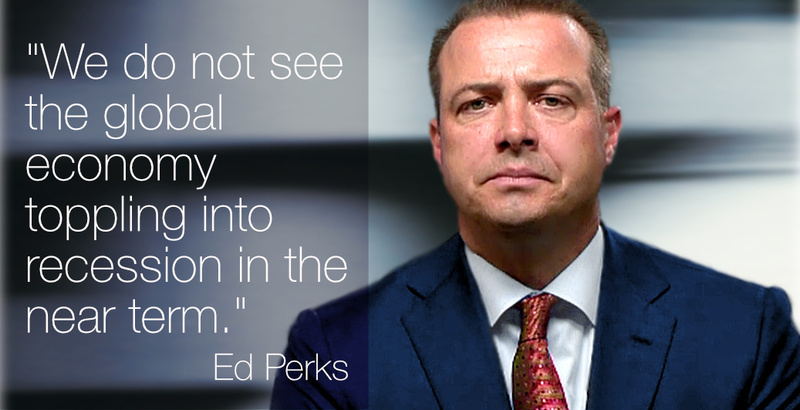 By Edward Perks (Executive Vice President, Chief Investment Officer, Franklin Templeton Multi-Asset Solutions). We do not see inflation as a meaningful factor just yet in the United States. What we see with inflation today is a return to normalisation after the global financial crisis. Our view is that inflation will continue to tick up, but the increase is apt to be very gradual. The primary forces that have kept inflation muted—globalisation and technological innovation—are still in place and should continue to have a restraining influence, in our view. In the United States, labour-market strength has continued while generating what we believe are manageable increases in labour costs as job openings have exceeded the number of unemployed. We think increasing costs, particularly wages, are likely to be only a modest drag on profit margins. Corporate credit has been resilient, even in the face of rising US interest rates. Although we have seen volatility pickup this year in equities, credit has performed pretty well, in particular below-investment-grade corporate bonds (those rated below BBB- by independent credit rating agency Standard & Poor’s). 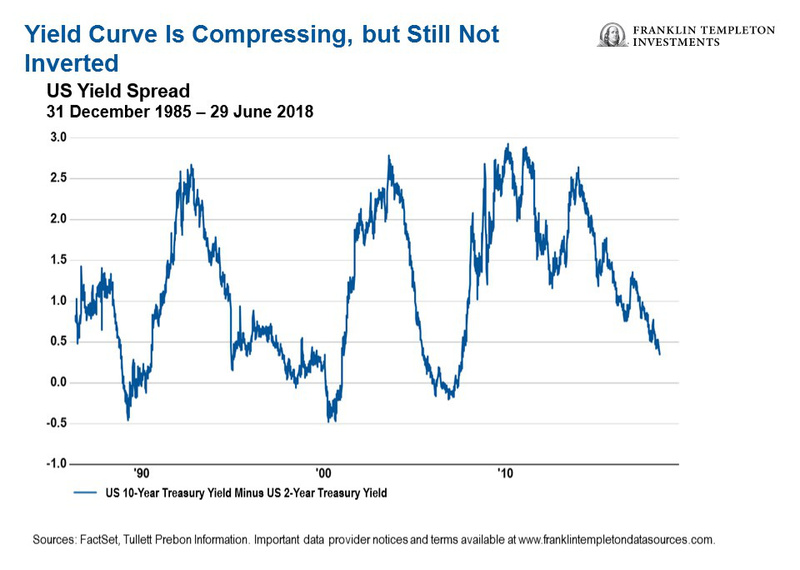 In the fixed income space, we have been focusing a bit more on the shorter end of the yield curve, and hold a generally positive bias towards corporate credit because we continue to think the fundamental backdrop remains very supportive. We are seeing firsthand how thriving corporate profitability has supported select corporate bonds at the fundamental level, seemingly in defiance of more aggressive US Federal Reserve policy and political and geopolitical challenges. Many such securities are closely geared towards the strength of the US economy. Distress in the high-yield corporate bond market remains idiosyncratic, not widespread, across sectors. Moreover, based on our analysis, speculative-grade debt defaults have been trending down while being eclipsed by an uptrend in corporate bond analysts’ credit-quality upgrades, and the near-term credit outlook amongst high-yield companies is generally benign. As in 2017, our bias so far this year has been towards shorter- and intermediate-term maturities. In general, companies continue to be highly focused on any of their upcoming maturities, and so those shorter maturities may be able to perform better even in a period of volatility. Industry Viewpoints are a place for thought-provoking views and debate. These views are not necessarily shared by The DESK or its publisher. For more comment from Franklin Templeton CLICK HERE.